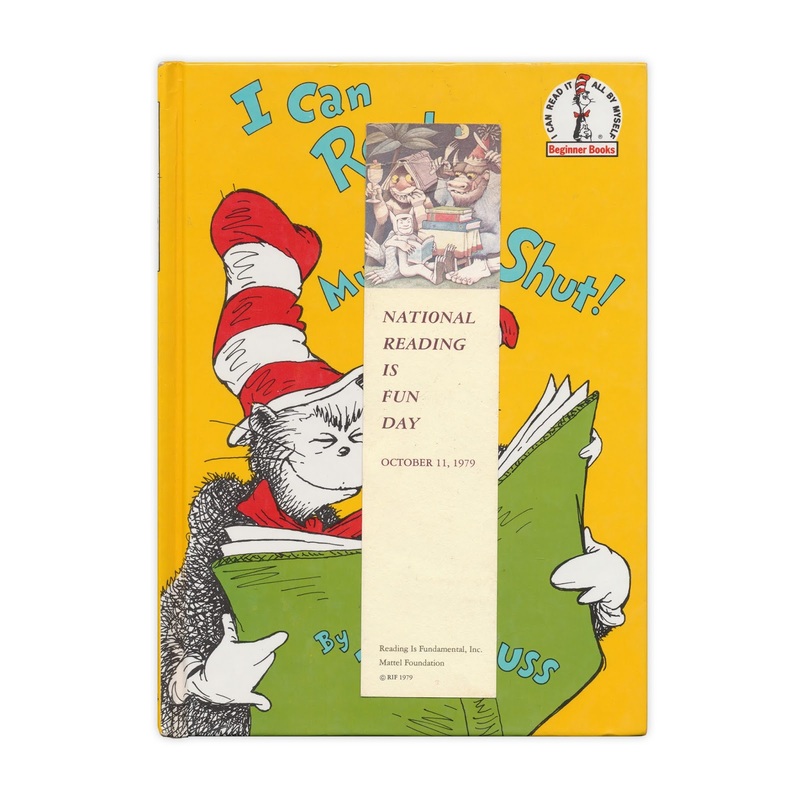 Bookmark advertising the 1979 Reading Is Fun Day, with help from Maurice Sendak's "Wild Things." Found in "I Can Read with My Eyes Shut" by Dr. Seuss. Published by Random House, 1978.